Ok. I am going to be real right now. Why do I do this to myself? 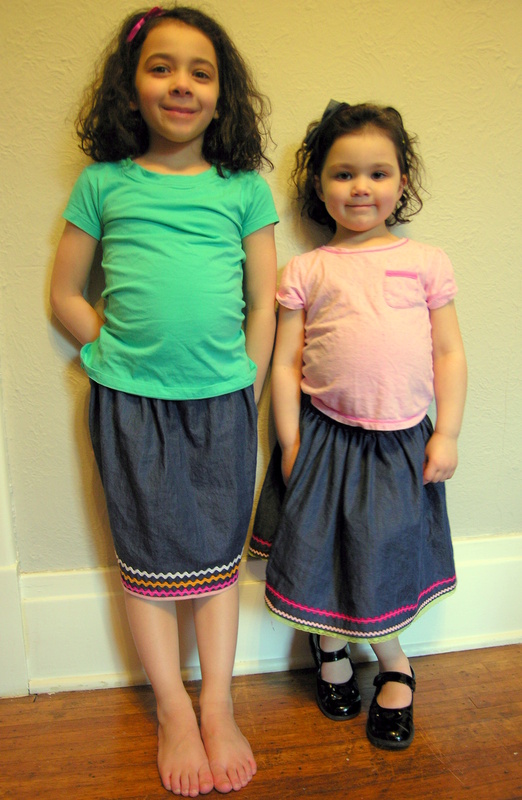 I don’t have time to sew- let alone pose my kids in the outfits I sew and force them to take pictures. All while I am screaming at them to stop moving as the light is fading and the sun is setting, and why oh why is everything coming out blurry? Stop moving! Why do I do this to myself, just to spend hours of my precious evening alone time sewing clothes they probably won’t even wear? Why do I torture myself like this? BECAUSE I LOVE IT. Even though this is a recipe for torture and can be incredibly frustrating something keeps pulling me back in. Each and every time I say I am going to end this blog, to sew more for myself and less for the girls I can’t stop myself! So, here I am again joining in on the Kids Clothes Week challenge yet again. I will not put the pressure on myself to sew every day if I don’t have time. I will not post every day or visit the site. I will do what I can and that will be enough. It seems like these challenges are all that have been motivating me to blog lately. Oh well, maybe once I am off this summer I will get more inspiration and time to blog again. Ok, so the first (and hopefully not last!) 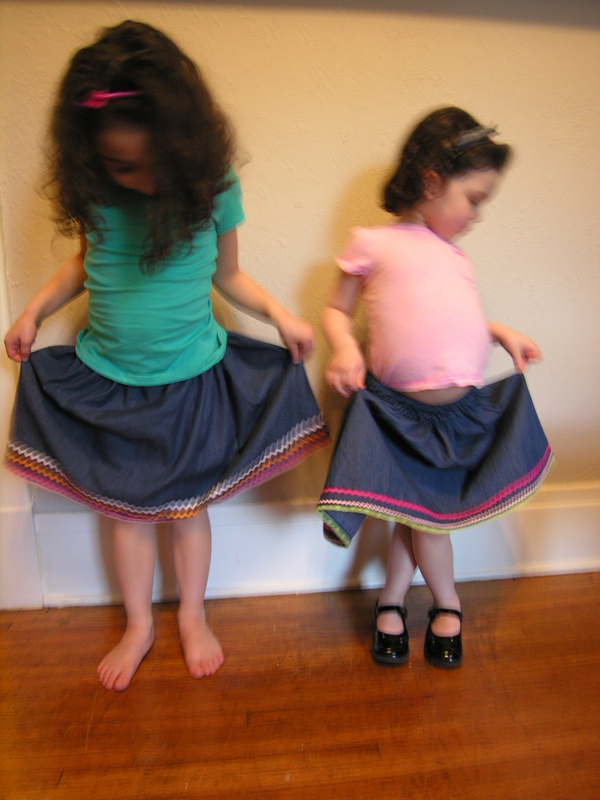 thing I made are these lightweight denim twirly skirts with stripes of fun ric rac and trim on the edges. Love them. I was able to squeak out one for each of the girls with only one yard of fabric, and the various trims I used were in my stash of vintage lace, bias trim and ric rac I have accumulated over the years. I love how they turned out and they will be perfect for the upcoming warm weather…hopefully it is here to stay! As you can see in the blurry pics the girls loved to dance in them!